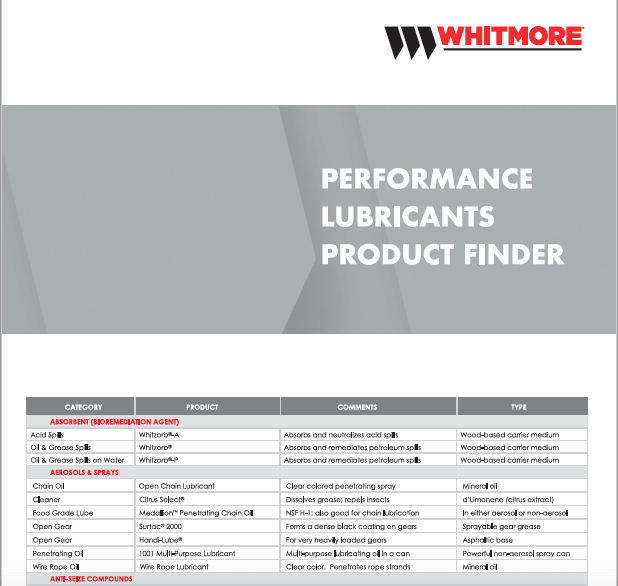 Whitmore offers an extensive range of high-performance lubricants designed to perform in the most adverse conditions and demanding environments. We specialize in extreme pressure greases, open and enclosed gear lubricants, high temperature synthetic lubricants, hydraulic oils and more. Protect your investment, maximize uptime and lower operating costs with Whitmore lubricants.